To respond to all carton and corrugated board packaging producers, IMPACK has also developed an automatic stacking module in addition to its packers. 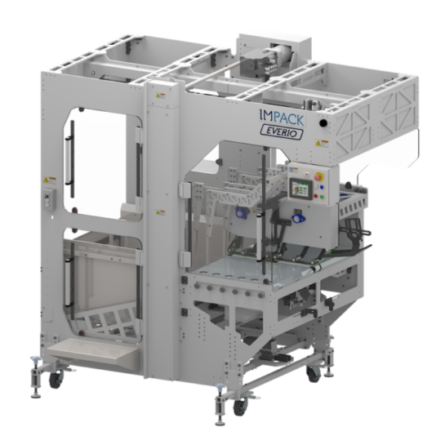 Coupled with an automatic banding system, the EVERIO can respond to your stacking and banding needs for all boxes coming from folder-gluers or rotary die-cutters. Installed on any folder-gluer and combined with an IN3 box turner, with an MFA inverter module for carton board or an Alternative inverter module for corrugated board, the Everio can adapt to your stacking needs.